Like a con man past his prime, Will Smith seems to have lost his gift for the grift. There was a time, not so long ago, when America was just begging to empty its pockets for the star, digging deep for whatever blockbuster project he lent his charms to. But while the $19 million Focus made this weekend hardly constitutes a flop—the movie pretty easily opened in first place—it’s also not exactly big business for a guy who used to have Independence Day on lockdown and who helped make Kevin James a big-screen draw. 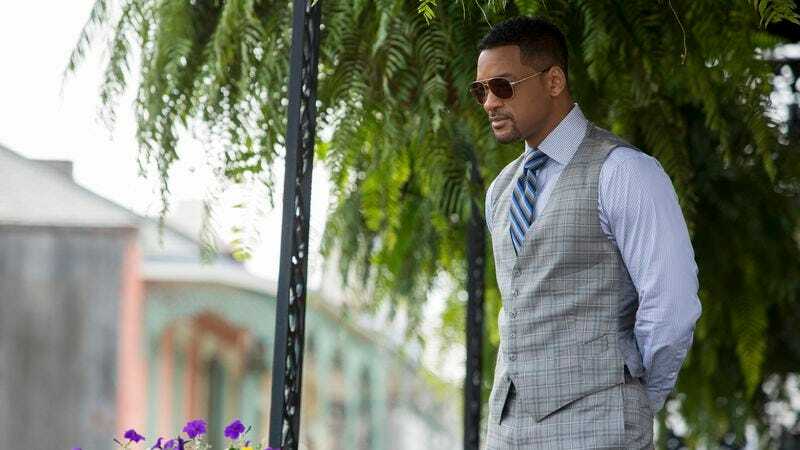 Something has to be wrong with Smith’s A-list stock if the Fresh Prince romancing Margot Robbie in a stylish-looking con comedy isn’t a recipe for (enormous) success. Maybe he should have cut a catchy/horrible tie-in track. Or maybe it was just bad timing. Box office was generally soft on the first post-Oscars weekend—a fact we might charitably attribute to audiences catching up with award winners at home. (Birdman, the Best Picture winner, is new to Blu-ray/DVD/VOD, meaning America didn’t have to brave the winter wind to see an aging superstar who once played a superhero.) While many of the big winners are out of theaters by now, a couple benefitted from the customary Oscars boost: Still Alice expanded to another 553 theaters, scoring an additional $2.6 million in the process, while American Sniper inched closer to becoming last year’s highest grossing movie by adding $7.7 million to its enormous haul. Otherwise, it was an uneventful weekend: Kingsman ($11.7 million) continued to hold down second place, SpongeBob ($11.2 million) continued to do steady business, and Fifty Shades ($10.9 million) continued to slink quietly out of the pop-culture limelight, like a regretful lover sneaking out while their one-night-stand is in the shower. Meanwhile, the only other new wide release in sight, The Lazarus Effect, debuted in fifth place with a very modest $10.6 million. Like the reign of Will Smith, the automatic box-office dominance of cheaply made horror movies featuring malevolent supernatural forces may be coming to a close.